1. The sun has been out all day, it's still sunny now at way past 7pm. All the sun made me want to do some swatching while I was sat in the garden. I got a few more HITS holos in my last order and I really didn't want to wait to swatch them so I did it today! 2. The Cult Nails $5 sale was on again! This time it was part two for the ones that were low stock in the last sale. I got Hypnotize Me that I wanted last time but missed out on, as well as Feel Me Up and Nevermore. Feel Me Up is the Black Friday yellow from last year. I was really gutted as I was late to the party and missed out, but Maria ordered it in by accident so she decided to put it back on the site and in the sale! Nevermore is their one coat black! Ever since she mentioned it on her blog I've been dying to get it and all of a sudden, it's here! I have two other blacks to show you from Models Own so I'll try and get those done before Nevermore arrives on my doorstep! Anyway, holo time! I've chosen Dionisio as my first of today's polishes. 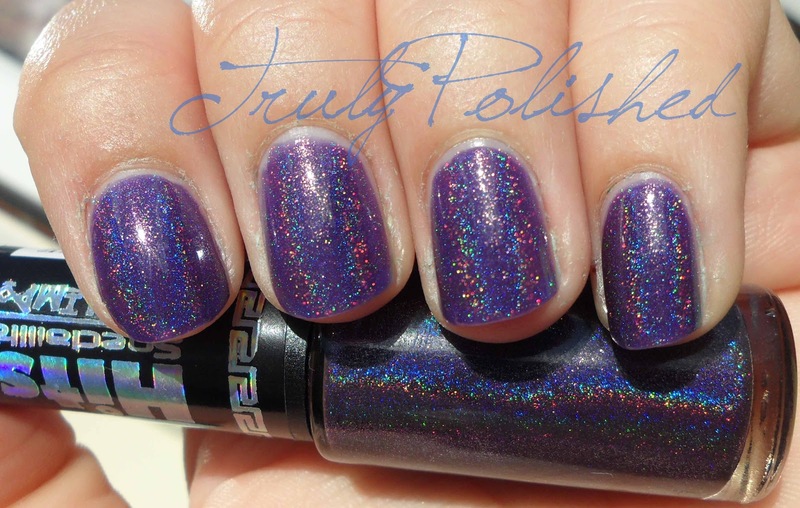 It's a grape purple with a stunning holo effect! The formula on this was sheer, but the application was great because I used Nubar Ridge Filler as my base. I prefer more matte finish bases with holos, glossy bases make it more draggy to apply. I bought this polish because of what I had seen in swatches. I'm not usually a purple fan so I wasn't sure if I'd like it but I love it! You can get it directly from the Speciallita site for R$8.00 like I did or you can get it from Llarowe for $10. 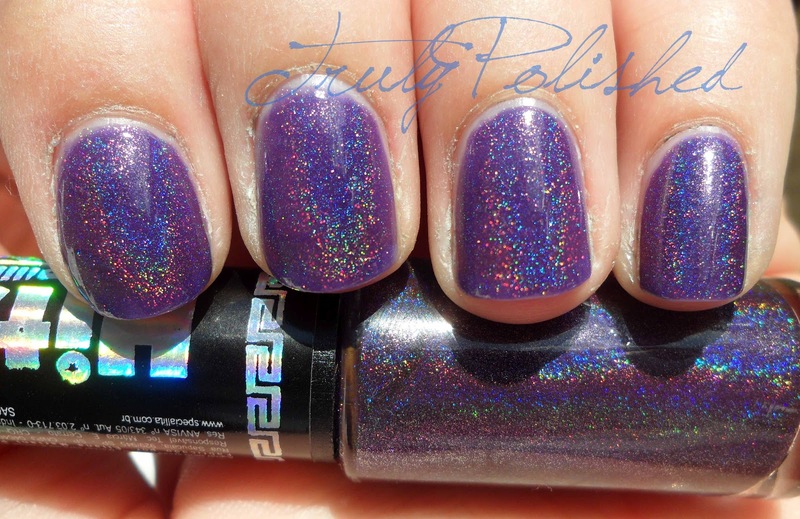 If you love holographic polishes, you have to have this! This collection is by far my favourite collection of nail polish of all time!